Checking out at CVS this afternoon the clerk asked me if I would be interested in a $2.99 DVD player. When I asked why they were so cheap, he explained they'd been in stock awhile and just hadn't sold. I snatched one up because I have been using Little Miss' and have been looking for a good deal on a DVD player. The best part was paying with a $3 ECB making it free. I don't know if all stores are clearancing these babies, but it's worth looking into. 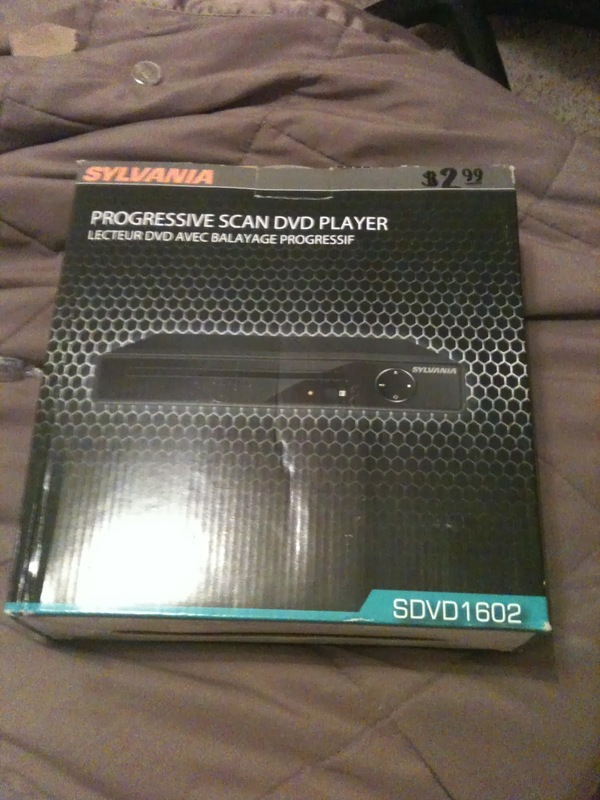 It's a Sylvania player, normally priced $29.99. It's a pretty good deal if you ask me! Those are just a few ideas off the top of my head, but you see where I'm going with this. I'm a firm believer there's always a use for a good deal.